Author appearances scheduled at HORROR REALM, Pittsburgh! Come join Darkened Hills author Gary Lee Vincent and Lumberjacked author Rich Bottles Jr. at this year’s HORROR REALM CONVENTION in Pittsburgh, PA. They will be at the Burning Bulb Publishing booth. Book signings and photo opportunities will be available. 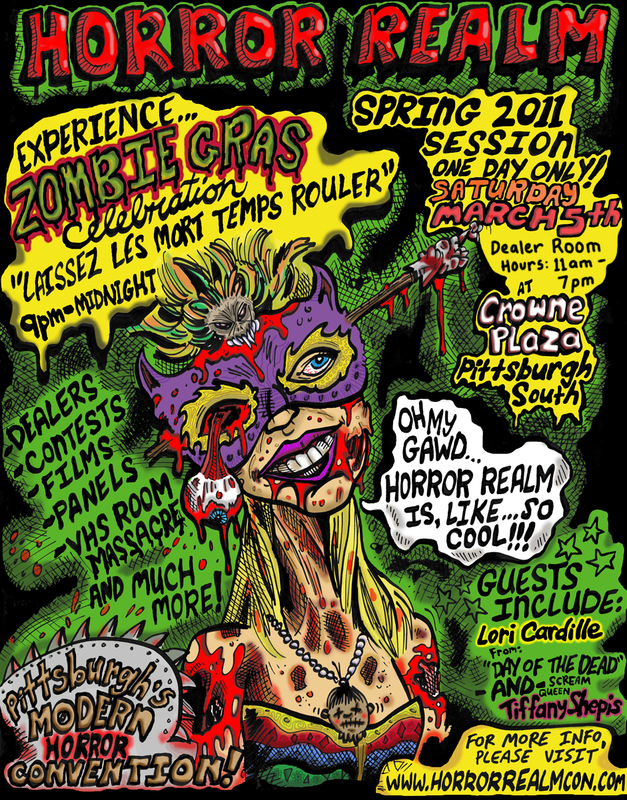 Spring Break Massacre & Zombie Gras parties will be at the event! Plenty of fun for all! This entry was posted on February 19, 2011 at 8:46 am and is filed under Book signings, Press releases. You can follow any responses to this entry through the RSS 2.0 feed. You can leave a response, or trackback from your own site.